A dynamic, versatile, collaborative, and student-centered way of presenting content and promoting discussions. Korey Brunetti (Sr. Assistant Librarian) has generously provided his Getting Started tutorial (see embedded document to the right) and a sample presentation he constructed for one of his info literacy courses. VoiceThread presentations/conversations can be easily embedded into Blackboard, your own website, Facebook, etc. "Prezi is a cloud-based presentation software that opens up a new world between whiteboards and slides. The zoomable canvas makes it fun to explore ideas and the connections between them. The result: visually captivating presentations that lead your audience down a path of discovery." Personally, I don't like Prezi for in-person presentations. However, I think it's a great presentation tool for on-line content where viewers can move around within the presentation "canvas" at their own pace. It would also be a great format for dynamic student presentation of projects online, as it lends itself to collaborative editing and sharing. GlogsterEDU - this is the BOMB! I can't wait to use this in Fall 2012!!! "Glogster EDU is the leading global education platform for the creative expression of knowledge and skills in the classroom and beyond. We empower educators and students with the technology to create GLOGS - online multimedia posters - with text, photos, videos, graphics, sounds, drawings, data attachments and more." A lecture/media capture presentation system that is fully integrated with Blackboard. If your lectures have been captured via East Bay Replay, you're already a Panopto user! Very easy to use, not so easy to edit your presentations. For greater editing capacity and a much more sophisticated online presentation (but a steeper learning curve), try Camtasia. Easily share videos that your viewers can watch anywhere, on nearly any device"
CSUEB is an official iClicker campus. Incoming freshmen purchase iClicker devices for use in their GS courses. More and more faculty members across campus are using iClickers, so students are encouraged to hold onto their clickers (at least until they graduate). See the iClicker presentation Caron gave for OFD last year. 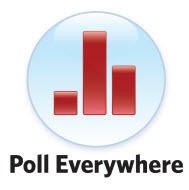 iClicker also has WebClicker, the web-based polling system that can be used in conjunction with or in lieu of the clicker devices. Free to use and web-based.